It’s the week of Halloween, and if you’re like us, you like the dressing up part of the day and the candy part of the day, but not so much the spooky part of the day. I could use a yard sign that says “No Zombies Permitted” right about now. However, if you’re up for just a little dose of spookiness combined with a large dose of silliness in your picture books this week, Mercer Mayer has got you covered. Mayer’s books are the absolute top of the list for us when it comes to fun and funny books with slightly scary subjects. Just go right past the Little Critter books and you’ll find a goldmine. Four-year-old Violet especially loves The Wizard Comes to Town at our house, and all of us are huge fans of the books There’s An Alligator Under My Bed and There’s A Nightmare in My Closet. The reason we like these so much is because Mayer pairs these traditionally scary creatures with spunky human characters in his books who smash the scariness of the creatures by the end of the book with their wit and no-nonsense manner. Another crowd favorite is You’re The Scaredy-Cat. In fact, Mayer has written and illustrated so many fantastic books that are slightly spooky but one-hundred-percent light-hearted and silly, the Mercer Mayer shelf at the library or bookstore is going to be all you need to fuel your reading this week. But if you have a minute, also check out Ben Hatke’s Nobody Likes a Goblin and Julia’s House for Lost Creatures. Here’s wishing you happy reading and a fun and silly, not-too-spooky week! Hello, readers, and welcome to 2018! What a year 2017 was for our little (big?) family. There were days that had me reeling, but all the hard parts were tied to rich blessings. Some of you may know what I’m talking about when I say I’m coming out of a long newborn fog (baby Lydia is 10 months but I guess new-mother-fatigue is compounded by the number of children). Homeschooling is great but takes time and mental energy. All that to say, I took an unplanned blogging break for the last 3 months and missed it quite a lot, but at least I didn’t take a break from feeding everyone lunch or washing clothes, you know? I’m hopeful 2018 will be a great year of reading and writing. So now, back to the reading and sharing of books! Every kid and his or her mother needs a slew of silly books to get them through these cold winter days. The stir crazy is at an all time high here. So today I’m sharing our latest favorite silly picture books in hopes that they might lighten the spirits in your home as well. We’re all crazy about Nobody Likes a Goblin, especially six-year-old Isaac and three-year-old Violet. It has a fable, Hobbit-ish feel to it (or maybe it does just to us because The Hobbit was Dad’s read-aloud to the kids book in the Fall), and the characters that could be ghoulish simply end up being cute and endearing. The illustrations are surprisingly detailed for a cartoon-looking book and give you a feel that everything is actually moving in front of you. The characters and the setting give so much scope for the imagination. 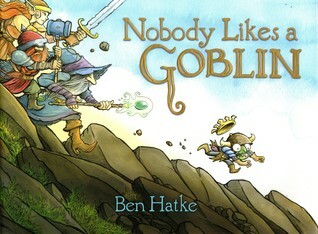 Ben Hatke is the author/illustrator of Julia’s House of Lost Creatures, which we also adore for all the same reasons we love Nobody Likes a Goblin. Basically, we’re Hatke fans here. 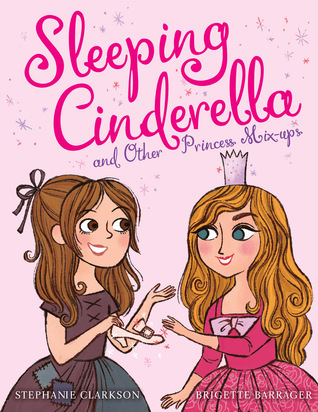 We’re also giggling at Sleeping Cinderella and Other Princess Mix-Ups. 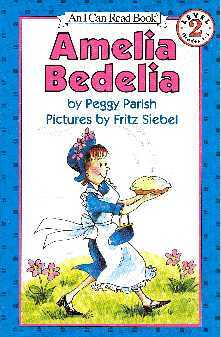 This rhyming story about traditional fairy tale princesses who get fed up and walk out of their respective tales into another princess’s is a classic “grass is always greener” story with a twist. I particularly sympathize with Cinderella’s plot line of being too tired to go to a ball and wanting to trade places with Sleeping Beauty. Sign me up for that one. 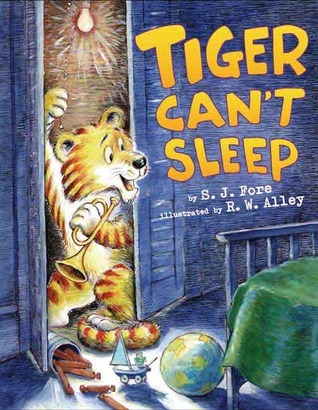 Honestly, we all laugh at this book! It is an added bonus that it’s a friendly reminder that nobody’s life is perfect. And in the end, each princess figures out a way to make her real life work better instead of abandoning it. It’s silly, unrealistic, but fun and a bit philosophical (or maybe that’s just for me…). That wraps up our favorite picture books of this week! We are going to the library today to hopefully stock up on more fun books to get us through the coldest week we’ve seen in years. I hope you and yours stay warm and enjoy some fun books together this winter, as well!